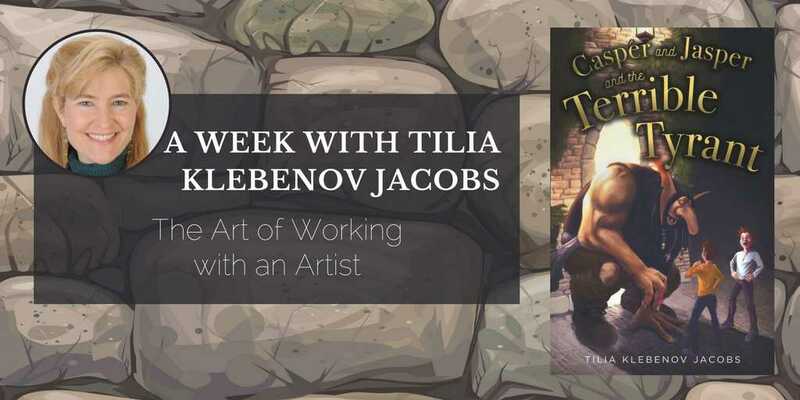 On Monday, Tilia Klebenov Jacobs joined me on the blog to share her wonderful advice on finding and working with a book illustrator. Today, Tilia returns to the blog to share her own experience of working with illustrator Matt Tames to bring her new book–Casper and Jasper and the Terrible Tyrant–fully to life. Thank you again for joining us, Tilia! If you are an author working with an illustrator, the biggest obstacle to your joint success is this: the artist, no matter how talented, cannot see into your head. The world you have created and know as well as your own keyboard is, alas, shrouded in obscurity for him. Thus, the most pressing need for both parties is communication that is both clear and respectful of your and his mutual endeavors. (Side note: I am fully aware that many artists are female, especially since my female artist cousin is the one who referred me to the gentleman I will discuss in this post. But since he is male, I use the appropriate pronouns herein.) 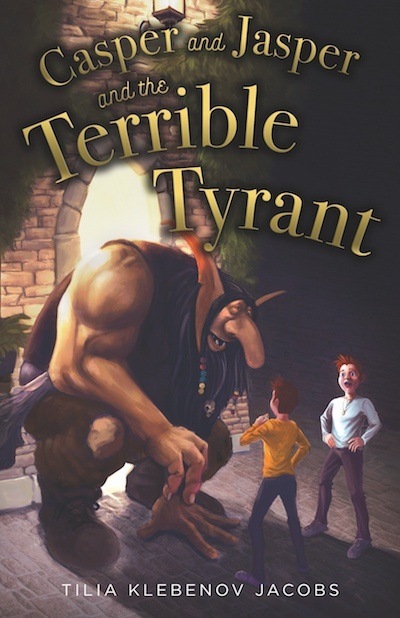 I recently discovered all of this and more when I enlisted the aid of Matt Tames for my upcoming children’s fantasy novel, Casper and Jasper and the Terrible Tyrant. 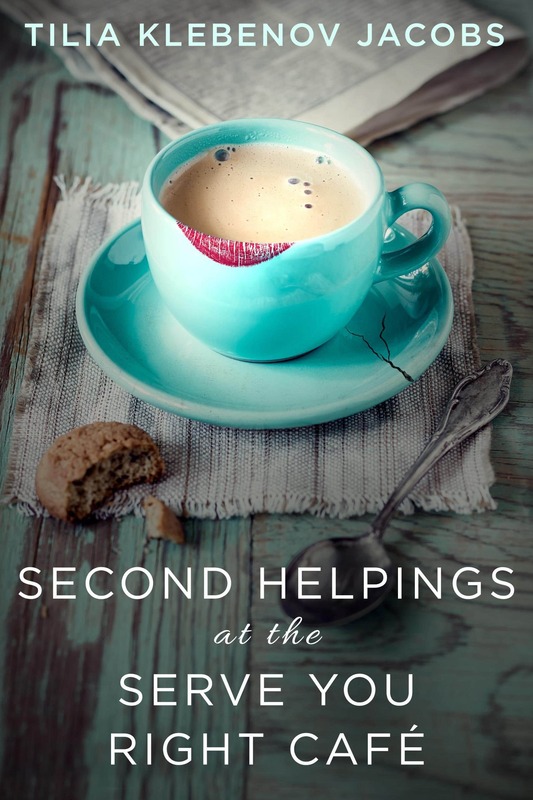 I can attest that this partnership was a process, every bit as much as writing the book itself was; and that by its very nature it involved challenges that the writing did not. Writing my novel was an individual endeavor, as is usually the case; but illustrating it was collaborative. One has to respect the unique challenges and rewards pertaining to such a partnership, and to remind oneself that differing skill sets are at work. The artist is doing something the author cannot; the author is doing something that the artist cannot. Ideally these two talents complement each other. I was fortunate that my artist was very open to my suggestions and revisions, and I can say without any hesitation that my book is richer, more exciting, and more appealing for his contributions. For a project like this… I will create some thumbnail sketches to give you an idea of what the scene will look like. Then once you pick the composition you like, I refine the sketch and create a more detailed drawing from which to paint the final illustration on. The revision round is for any changes on the final painting. I know there will be more back and forth when discussing the sketches. 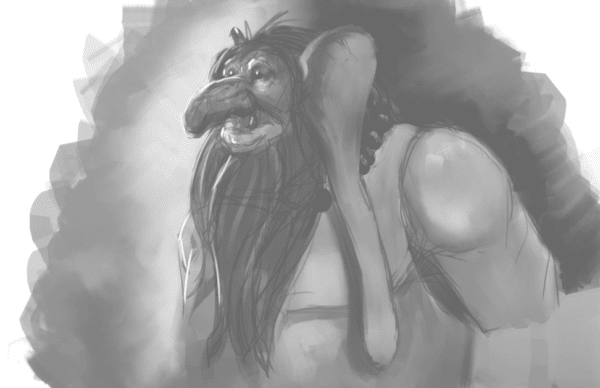 A troll stood at the doorway, holding a club the size of a dinosaur leg. Just above its head hung a sign reading, “The Tone-Deaf Troubadour.” Cautiously, Casper and Jasper approached. A raucous crowd of wenches, adventure-seekers, and ne’er do-wells filled the tavern, almost obscuring their view of a diminutive figure with soft, white hair bobbing through the throng. “Good evening,” said Casper, and stepped past the troll. One end of the club landed hard on the ground between Casper and the doorway. 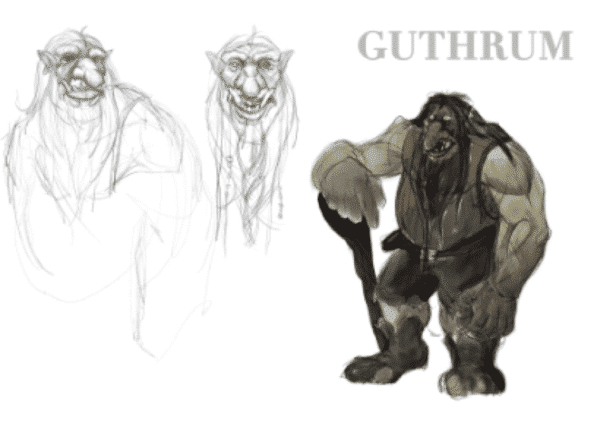 The other end was gripped in the troll’s hand, which was hairy and so muscled that it appeared to be made of enormous, shaggy stones. “Stop,” said a deep voice. It sounded thick, as though the speaker’s throat were made of oatmeal. Casper and Jasper looked up, past the hand to the hairy, hard-looking arm that it was attached to, and to the face above that. Trolls are, generally speaking, not pretty. This one was no exception. Its close-set eyes were small and piggy, and glittered above a nose the size of an eggplant. Its dark, stringy hair hung almost to its waist, and it wore baggy leather boots laced up its ankles. Its chest and stomach were covered with necklaces of colored beads. More beads and the skulls of small animals were braided into its voluminous beard. It was half again as tall as the tallest man Casper and Jasper had ever seen, and easily twice as broad in the chest and shoulders. It smelled like wet rocks. It was a start. But it didn’t match the description in the book. I wrote back, citing the passage from the novel, and pointing out key elements that Matt had not focused on for this first go-around. I like your main idea very much, but his face bothers me. He looks evil, and what he mainly is is big, strong, and stupid. Also, I want his ears more pendulous… The hulking body you’ve got for him now is great, as are the other details. But he’s not a villain (even though he works for one), and I don’t want him to look terrifying. Again, I hope this is helpful. The process took much longer than I had bargained for, but the results were spectacular. This indeed was the Guthrum Danegeld I had imagined, the one my beta readers fell in love with, the one I hope will be just as enchanting and frustrating to everyone else as he is to me and to Casper and Jasper. When shooting those emails back and forth, both author and illustrator have to be not only clear but tactful. Remember, he is probably working just as hard on the pictures as you did on the text. Once he has teased those images from your frontal lobe, he is letting readers experience the book as you do, seeing the characters and scenery as they turn the pages. The artist is the only one who can hand readers the keys to the world you created, letting them enter it and immerse themselves almost as fully as you have. 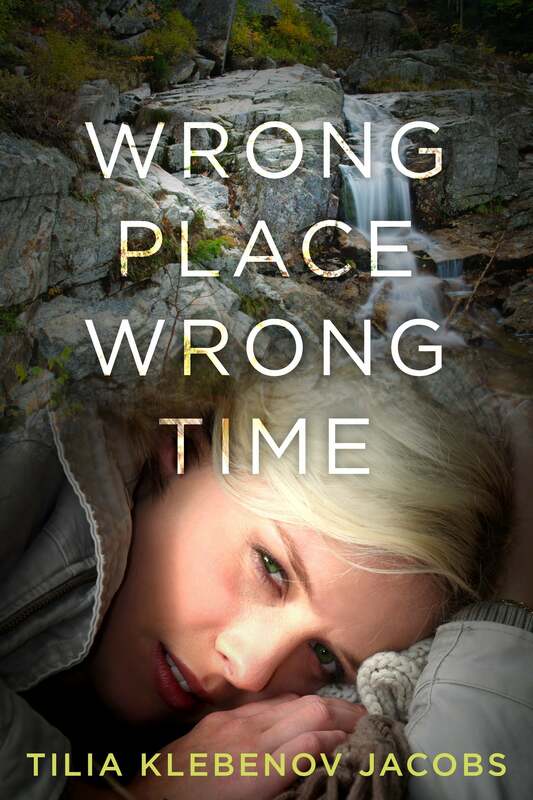 Tilia Klebenov Jacobs is the author of two crime novels, Wrong Place, Wrong Time, and Second Helpings at the Serve You Right Café. She has also published numerous short stories. 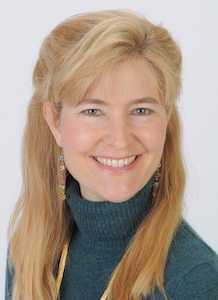 Tilia is also a reviewer for IndieReader.com, a judge in San Francisco’s Soul-Making Keats Literary Competition, and a board member of Mystery Writers of America. She has taught middle school, high school, and college; at present she teaches writing classes for prison inmates. Tilia’s next book, Casper and Jasper and the Terrible Tyrant, comes out in 2018. Find out more about Tilia’s illustrator, Matt Tames, at MattTamesArt.com or on his Facebook page. Share the post, tell us your favourite illustrated book, or follow on social media for your chance to win. It is a tie between Where The Wild Things Are By: Maurice Sendak and The Secret Garden By: Frances Hodgson Burnett. I just love them because I have older siblings that had these books and before I could read them I could read the pictures and make up my own stories. That was priceless! Very great memory!